In the new video Glass,director M. Night Shyamalan brings together several characters from his past films and sets them loose in a shattering story of heroes and villains. Will this pic be worthy of cheers or a big boo-hiss? Written for parents of children ages two through teens, Plugged-In Parenting helps parents who want to teach their kids media discernment without alienating them. Cyberbullying, sexting, violent and sexualized content on TV, the Internet, and in music are prevalent today and readily available to kids. How can a parent protect their child? 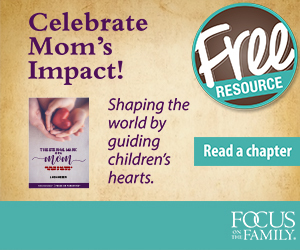 This book shows how to use teachable moments, research and pop culture evidence, Scripture, questions, parental example, and a written family entertainment constitution to uphold biblical standards without damaging the parent-child relationship. Plugged In Episode Reminder Get a sneak-peek into each new show plus daily featured articles, delivered straight to your inbox! Plugged In is a Focus on the Family publication designed to shine a light on the world of popular entertainment while giving families the essential tools they need to understand, navigate and impact the culture in which they live. Through our reviews, articles and discussions, we hope to spark intellectual thought, spiritual growth and a desire to follow the command of Colossians 2:8: "See to it that no one takes you captive through hollow and deceptive philosophy, which depends on human tradition and the basic principles of this world rather than on Christ." Each month, PluggedIn.com is visited more than 1 million times by people looking for detailed information about what's really in popular movies, videos, television episodes, songs and games. Entertainment industry ratings only tell you so much. We go deeper, diving into specific content and the meaning behind it. Our award-winning website also offers news and blogs. Bob Waliszewski is director of Focus on the Family's Plugged In department, which features the Plugged In Online Web site, PluggedIn.com. The site provides up-to-date reviews of new movie releases and information on the hottest music, television, DVDs and video games impacting popular youth culture. Bob reaches a large radio audience weekly with his syndicated Plugged In Movie Reviews feature (both audio and video versions), as well as serving as a weekly guest of Focus' popular Weekend Magazine radio program. As spokesperson for Plugged In, Bob has been interviewed extensively by media outlets such as CNN, CNBC, Daystar Television, MSNBC's "Scarborough Country," Fox News Radio Network's "The Alan Colmes Show," the Associated Press, Entertainment Weekly, Los Angeles Times, Chicago Sun-Times and The New York Times in which he most often tackles the controversial entertainment issues that confront families. He was also featured on CBN’s 700 Club, FamilyNet's At Home Live!, Focus on the Family's Mind over Media video and Shine TV New Zealand. Bob regularly speaks to teens and parents on popular culture, and was called to testify before a subcommittee of California legislators on the subject of violent lyrics. Bob has written articles for several Focus on the Family publications (Focus on the Family, Citizen, LifeWise and Breakaway). In May 1997, Bob was presented with an Evangelical Press Association "Higher Goals" award for an article on gangs written for Teachers in Focus magazine. He also co-authored Chart Watch (Tyndale, 1998), a book that includes more than 400 album reviews from a biblical perspective, and chapters on media discernment. A former youth pastor, Bob joined the Focus on the Family team in September 1991. He is married to Leesa, and they have two kids in college. Bob enjoys snow- and water-skiing, tennis, running and backpacking.